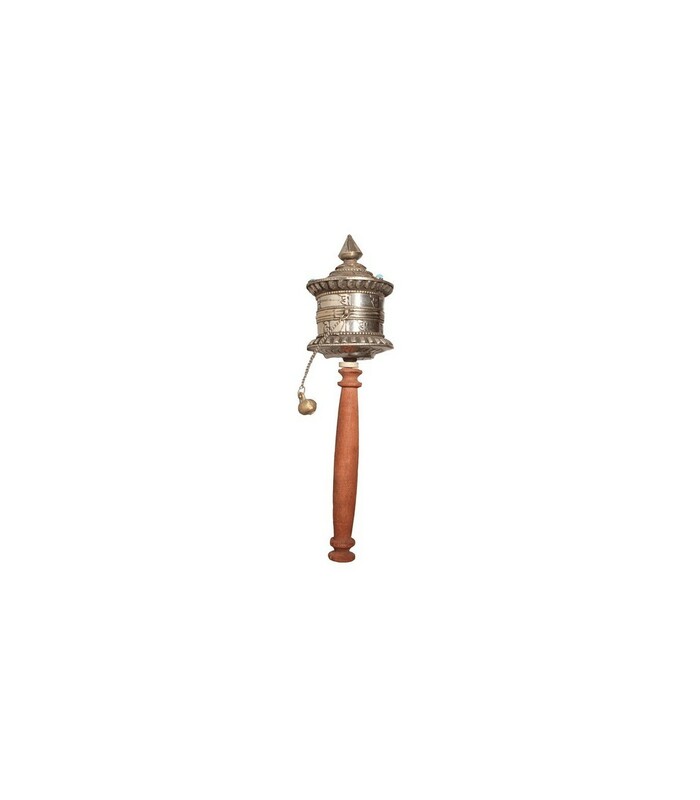 This is a silver plated hand-held prayer wheel with a ligneous coloured handle. It is 300 grams in weight and is inscribed with mystic Tibetan Buddhist Prayers and two blue semi-precious stones on the top. It is rotated by hand sending the special prayers to heaven for personal blessings.